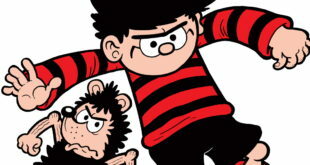 Beano Studios will curate new film and TV programmes, digital content, live theatrical experiences, consumer products, the comic and the annual. 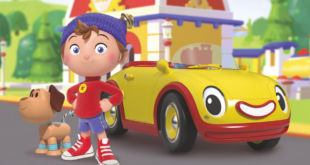 The mag will be based on the new DreamWorks Animation television series, Noddy, Toyland Detective. 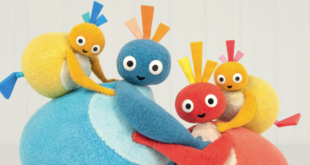 There are no right or wrong answers in Twirlywoos magazine, 'just the space for children to read, understand and respond on their own terms'. Targeting gift buyers and male adults, the two new lines featuring original artwork from the classic comic. This October will see DC Thomson release the first issue of the new Thunderbirds Are Go magazine. Publisher Maria Welch discusses the firm's plans for the new title. Collins has been head of brands at the firm since November 2009. The jigsaw blends the classic The Beano comic artwork with the contemporary Dennis the Menace and Gnasher design. The guitar is the latest addition to the firm's collection of The Beano themed musical instruments. DC Thomson and Penguin Random House have now shifted over 300,000 copies since the start of the partnership. Jazwares has been appointed master toy partner, while Penguin will release printed titles and DC Thomson gears up for a monthly magazine.